Both queens of England and Scotland were lonely and desperately unhappy, each in her own way. Elizabeth – for illness, lost beauty and childbirth disfunction, Mary – for a row of treasons and betrayals along with blackwash. People used religion as a tricky political tool trying to prove that there is no place for women on the throne. 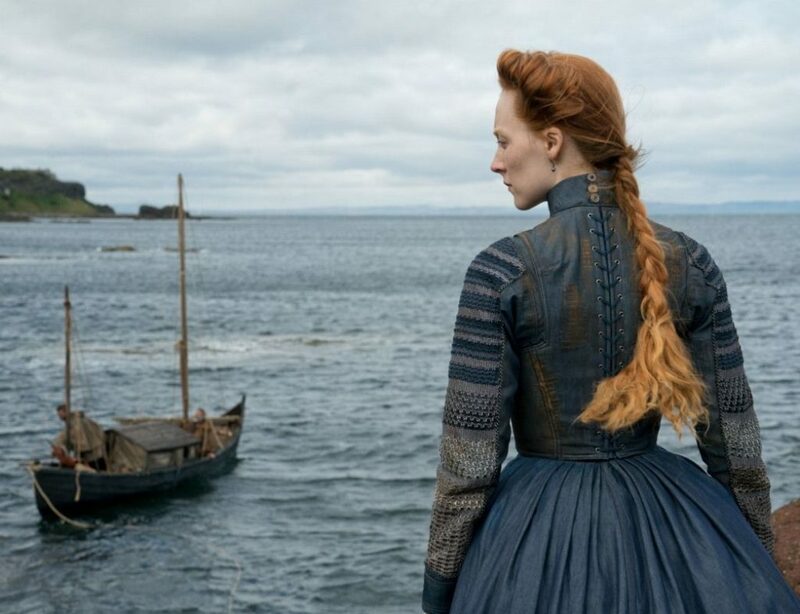 “Ill luck came to our land: a woman held the crown” – such words Scots spoke about Mary. Both were surrounded by weak, faint-hearted men, all lost in their sins. Interested in power and authority only, there were husbands, family members, advisors and some of inner circle. The film highlights this pattern profoundly, and this is not just the director`s vision, it is a true historical fact. Elizabeth was nearly maniac at suspecting everyone in attempts to assume the throne. Every man from inner or outer circle was a potential threat to her rule. Sure, being a female monarch in the 16th century could hardly be an easy task. People were waiting for her to get married and give the throne back to a man, but this waiting was hopeless. Elizabeth`s desire to be a sole monarch was iron cast till her last day. 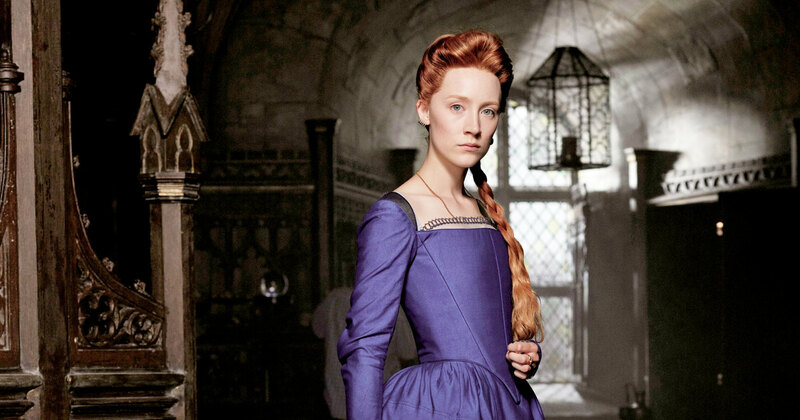 Stubborn and cruel Elizabeth envied her cousin for everything: from pretty face to ability to have kids and family, but Mary was not happy at all. People wanted to deprive her of the crown, regardless of the fact she was the only one who intended to unite the country. More than that, her power and opportunities was always questioned. 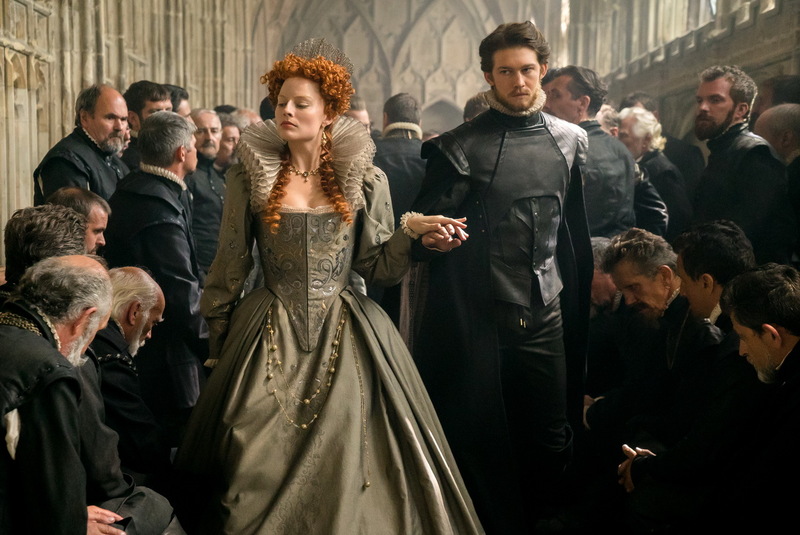 Mary`s second husband, boastful and selfish Lord Darnley, appreciated his own comfort and private interests and betrayed her, and then her only son James was taken from her for many years. What else to say about the film? Shooting locations and both leading actresses` performance are impressive. This portrayal coincided with the image many of us could have while imagining two young queens. 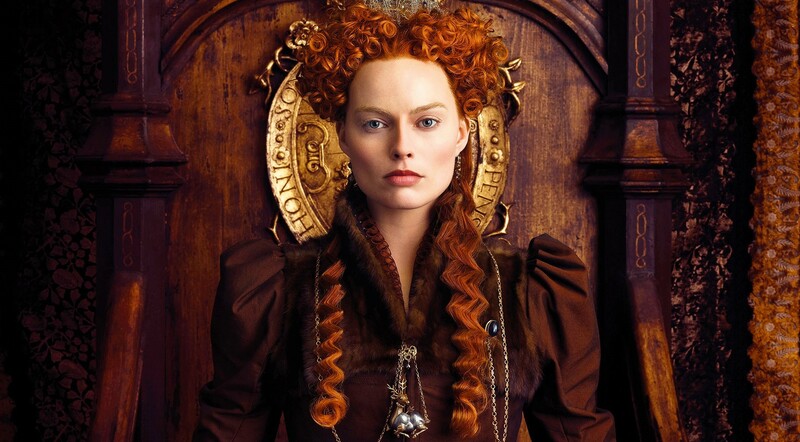 Margot Robbie (The Wolf of Wall Street) precisely caught the image of the great Queen Elizabeth I and achieved the physical resemblance with the well-known portrait by Marcus Gheeraerts the Younger (1592 г.). On screen the young woman transforms into a manlike crowned fortress who hides emotions, feelings and ugly face under the multi-layered plumbum white. Saoirse Ronan (The Lovely Bones) as Mary turns from a naïve princess to the queen of Scotland with strength, ambition, will and wisdom. Maybe some of you will find a kind of innuendo, or a sort of gaps in the plot, but here is what the film was made for: it`s up to the audience to decide who`s side are they on, what truth to believe, how to judge history and fiction. Hard-boiled critics and historians will see some evident bloopers like inappropriate jewelry or Elizabeth`s male-styled haircut. 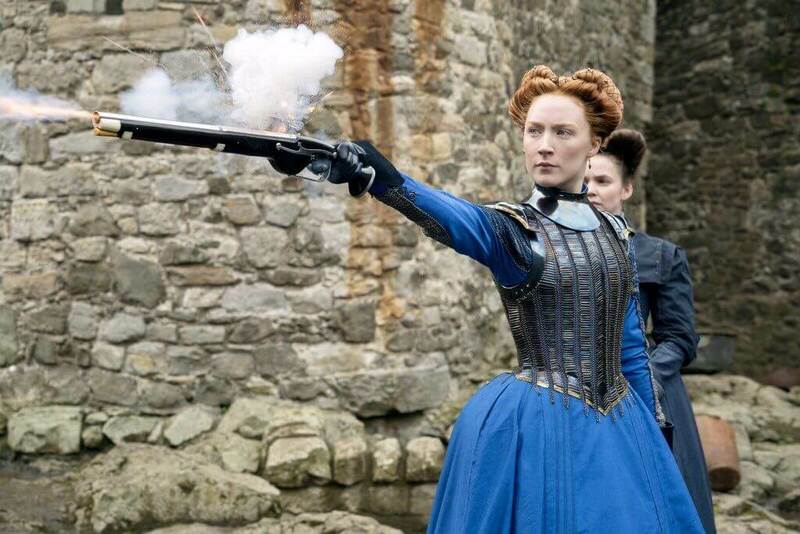 However the film in general turned out to be amazing for everyone who likes historical dramas, adventures, biopics and simply movies of high-quality. « Две королевы: родственные души или вечные соперницы?